SRA3 sheets can be numbered, perforated and creased. Numbers up to 6000 sheets per hour. 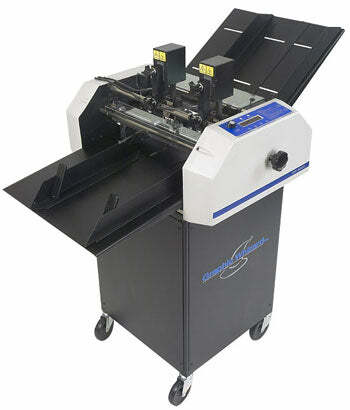 Graphic Whizard numbering and perforating machines all feature the unique adjustable-depth perf/score system. G-Whiz numberers perforate and score before the sheet is numbered, sheets are held in position by three sets of gripper wheels whilst being perforated or scored.